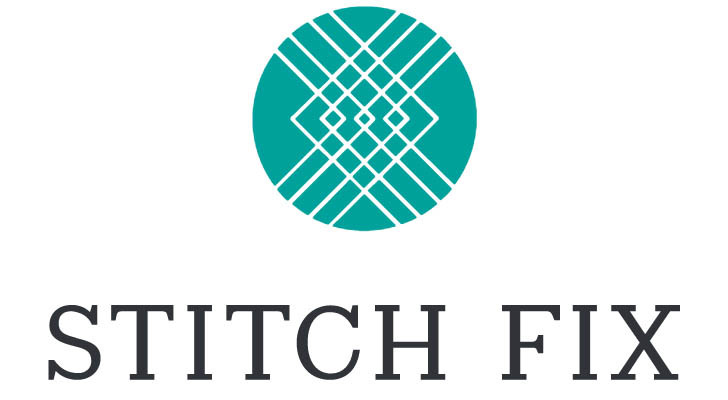 Personalized online apparel company Stitch Fix (NASDAQ:FIX) has been a market darling for most of 2018. But, the Cinderella run in SFIX stock hit a major speed-bump recently after the company reported middle-of-the-road fourth quarter numbers. Those numbers — while good — weren’t good enough to justify the stock’s massive year-to-date rally. As a result, SFIX stock dropped more than 35% in a single day. Now, SFIX stock trades nearly 50% off recent highs. In the big picture, I think this big drop is a long-term buying opportunity. Stitch Fix has potential to be a $10 billion-plus business one day as consumers globally increasingly adopt Stitch Fix’s more efficient method of shopping, which leverages data, technology, and curation to make shopping more convenient and more cost and time efficient. As such, big drops in SFIX stock are naturally long-term opportunities. But, the Q4 report also inflicted some serious damage on investor sentiment. Investors are now thinking this could be the next Blue Apron (NYSE:APRN). While those thoughts are wrong, they are presently circulating. So long as those thoughts are circulating, SFIX stock will remain weak. As such, investors shouldn’t be surprised to see further weakness in SFIX stock in the near-term. Long term, sentiment will improve, and SFIX stock will roar towards a $10 billion-plus valuation. Thus, this drop presents a compelling long-term opportunity. The Stitch Fix shopping model is simply better than the traditional shopping model, and as such, it will gain significant traction over the next several years. Quite simply, the Stitch Fix shopping model is better because it leverages data, technology, and curation to make shopping dramatically more efficient. You sign up for Stitch Fix. They ask you a few style and fit questions. Those responses are then fed into an algorithm which, combined with a personal human stylist, produces a highly personalized and professionally curated apparel portfolio. You then decide what to keep, what not to keep, and only pay for what you love. This process happens as many or as few times as you want. Compared to scrolling aimlessly across numerous websites, the Stitch Fix method of shopping is far more time efficient (you don’t waste time jumping from website to website, sorting through various different types of clothes which you may or may not like). It is also far more cost efficient (among other things, Stitch Fix personalizes an apparel portfolio to match your budget). And, it is far more convenient (they ship the clothes to you to try on, so you don’t have to go stores to find the perfect fit). Overall, because it dramatically improves the e-retail experience, I firmly believe that the Stitch Fix shopping model is the future. Owing to this belief that Stitch Fix is the future, I think SFIX stock could one day warrant a $10 billion-plus valuation. Global apparel sales measured around $1.7 trillion in 2017, with the U.S. accounting for over $340 billion and everywhere else accounting for $1.36 trillion. Stitch Fix only operated in the U.S. last year. They had sales of $1.2 billion. Online apparel sales accounted for 20% of total apparel sales in the U.S. last year, equating to about $70 billion. Thus, SFIX has roughly 1.7% market share of U.S. e-apparel sales. Inevitably, that will grow over time. Given the advantages of the SFIX model, I reasonably see this company roughly doubling U.S. e-apparel share in a decade to 3.5%. U.S. total apparel sales should grow to about $420 billion by then. E-apparel penetration should be around 40%, for total sales of $168 billion. A 3.5% share of that implies domestic sales for SFIX in a decade of $5.9 billion. Internationally, total apparel sales should grow to about $1.6 trillion in a decade. E-apparel penetration should be much lower, around 20%, implying e-apparel sales of $320 billion. SFIX’s market share should also be much lower, around 0.5%, implying SFIX international revenue of $1.6 billion. All together, SFIX has potential to get to roughly $7.5 billion in revenue in a decade. Assuming SFIX maintains 45% gross margins and hits its long-term opex rate target of 35%, then that $7.5 billion in revenue should flow into roughly $750 million in operating profits. Taking out 15% for taxes, you are left with just under $640 million in net profits. A market-average 16x multiple on that implies a long-term valuation target for SFIX stock of over $10 billion. SFIX’s current market cap is under $3 billion. Thus, we see SFIX stock as a potential multi-bagger in a long-term window. Although SFIX stock has multi-bagger potential, it won’t realize that potential immediately. In the near-term, investor sentiment will be weighed by Blue Apron comparisons. Although such comparisons are off, so long as these comparisons weigh on sentiment, SFIX stock won’t explode higher. Apparel shopping has a 20% online penetration rate already, whereas grocery shopping has just a 4% online penetration rate. Thus, the apparel industry is ready for a curated digital shopping service, whereas the grocery industry is not. Stitch Fix is way bigger and growing way faster than Blue Apron. Blue Apron topped out at 1 million customers, and has been in decline ever since. Stitch Fix hit 1 million customers in October 2015. Ever since, they’ve been growing the customer base by over 500,000 customers per year. Today, Stitch Fix has 2.7 million active clients. Stitch Fix is a far more profitable business than Blue Apron. Blue Apron’s gross margins hover around 30%. Stitch Fix has gross margins around 45%. Overall, Stitch Fix is not the next Blue Apron. Thus, once the market realizes this, SFIX stock will rebound quickly. SFIX stock is a long-term winner. Near-term weakness will persist due to dour investor sentiment. But, that sentiment will eventually reverse course, and this stock will head towards a $10 billion valuation in the long run. As of this writing, Luke Lango did not a hold a position in any of the aforementioned securities, but may initiate a long position in SFIX within the next 72 hours. Article printed from InvestorPlace Media, https://investorplace.com/2018/10/the-stitch-fix-stock-dip-is-a-huge-long-term-opportunity/.